Helping families with their child’s mental health and disability needs. Children are screened using the Brigance for possible developmental delays upon entry into the program. After a child has attended Head Start for 4 weeks, a teacher will complete the Devereux Early Childhood Assessment (DECA). This assessment helps teachers plan for the individual social/emotional needs of each child. This information is shared at parent/teacher conferences. Parents are also encouraged to share any difficulties they are having at home with their child. The Disabilities/Mental Health Manager or Mental Health Consultants are always available to provide support. If a child has an Individual Education Program (IEP), meaning a child has an identified disability, our staff will work closely with special education staff to plan activities that meet the goals listed on the IEP. If a child does not have an IEP but a concern is suspected, a referral for further evaluation can be made to the local school district, with parental permission. 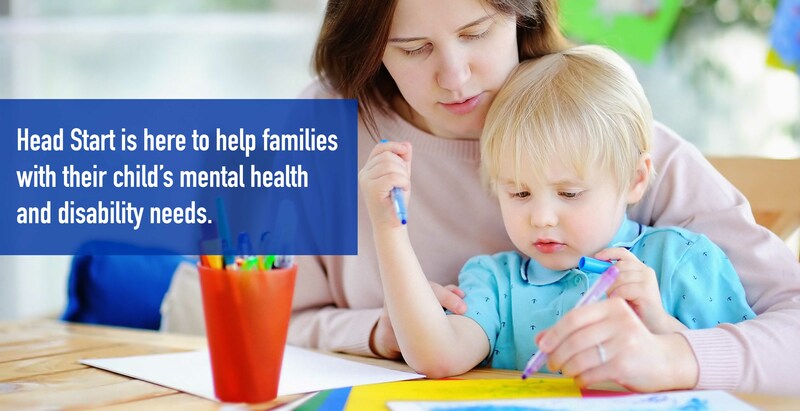 Head Start is here to help families with their child’s mental health and disability needs. Please contact our Disabilities Mental Health Manager at (330) 424-6683 ext. 372 for assistance.